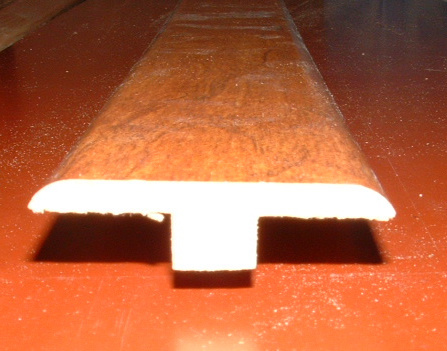 Laminate flooring trims are used to cover the edge of the laminate flooring where it will end. Example: If the laminate ends at ceramic tile, you will need a T-mold. The T-mold will bridge over both the ceramic tile and the laminate edges. You need to know how much of each type your going to need. Here are the moldings you may need for the different transitions. T-mold: This mold bridges over two floors that are the same height. Ceramic tile, wood floor,or another laminate floor. 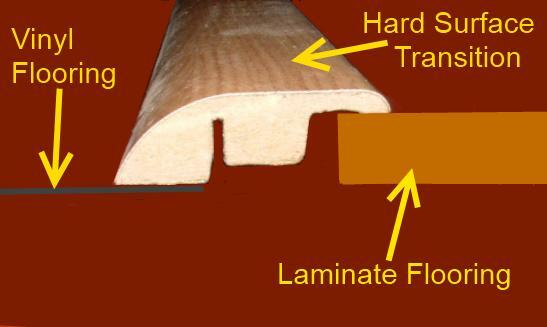 Hard Surface Transition mold: This mold is used where the laminate flooring meets another surface that is lower then the laminate such as vinyl flooring or vinyl tile. The front edge of this transition curves down to the floor, such as a thin vinyl flooring. 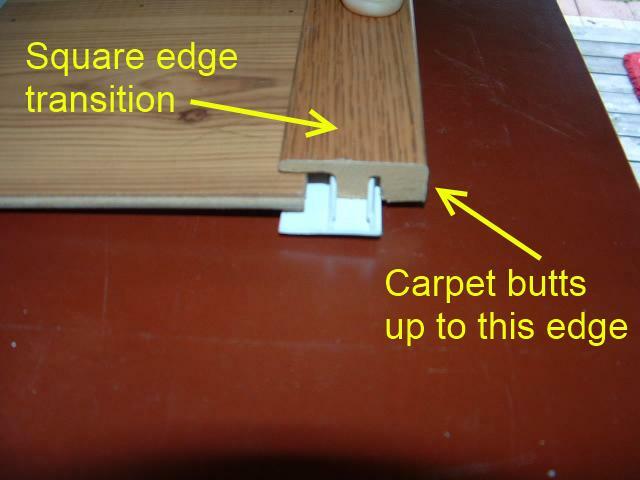 Square edge mold: This mold is used where the laminate flooring meets up to carpet or a vertical edge such as a threshold. I use this one when I end the flooring at sliding glass doors. Stair nose mold: This mold is used any time you have a step. 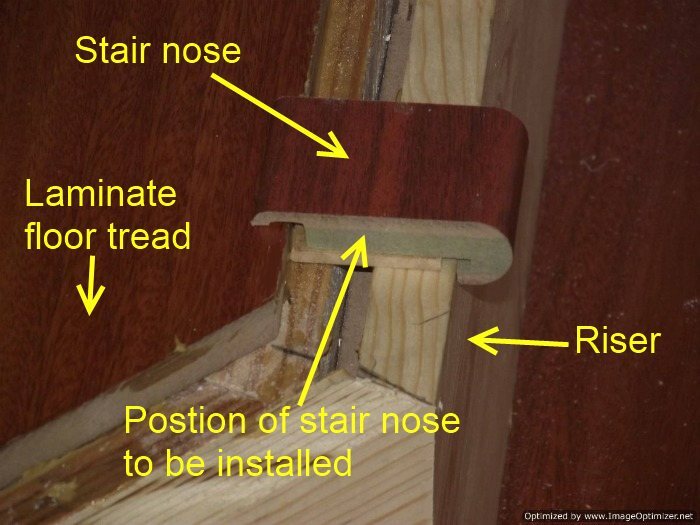 The stair nose fits along the top edge of the step. Transition molds can vary in length from 72 inches to 84 inches. Some stores may limit their sizes to only 36 inches. When calculating what your going to need, you need to know the length of the transitions that you are going to purchase. First measure each doorway where your going to need a mold. Write each door measurement down. Then determine what type of mold you will need for each doorway. It helps to know the length of the molds your purchasing. Say you have three doors, all need T-mold, one measures 30 inches one measures 24 inches and the other is 24 inches. A total of 78 inches. The molds that come with your flooring only come in 72 inch lengths. A 84 inch mold would do all of these doorways. At 72 inch molds it will take two.